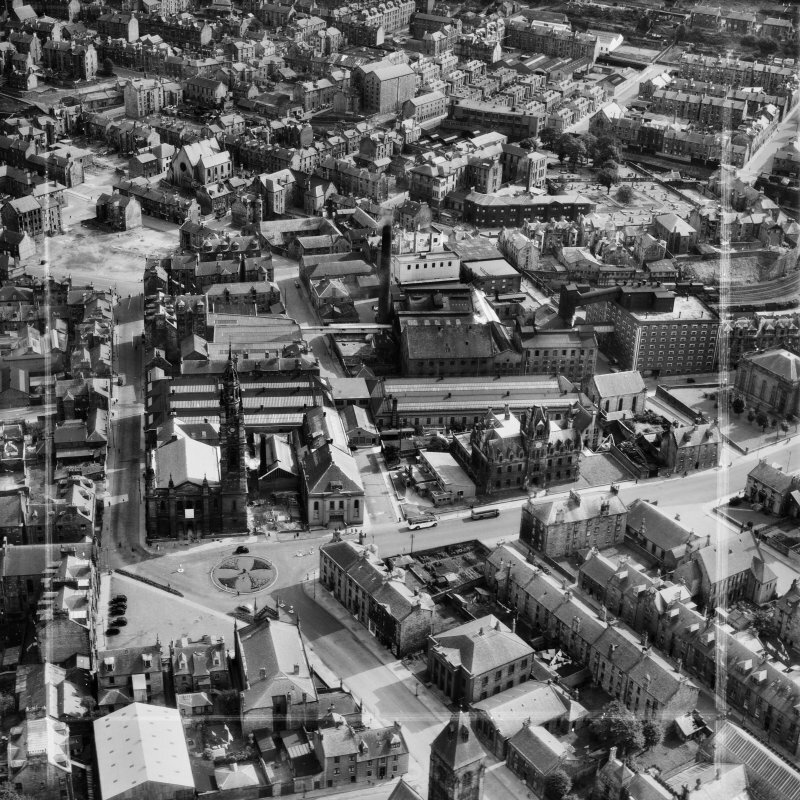 Description Greenock, general view, showing John Hastie and Co. Ltd. Kilblain Street Engine Works and St George's North Church, George Square. Oblique aerial photograph taken facing south. This image has been produced from a crop marked negative.